One youngster suffered minor injuries Monday, Dec. 12, following an accident involving a Wabash City Schools bus. At 10:23 a.m., a vehicle driven by Leah C. Gatchel, 17, Wabash, was traveling south on North Wabash Street when she came upon a stopped bus driven by Teresa Smith Jr., 62, Wabash. Gatchel, a Wabash High School student, attempted to brake after Smith had activated the bus’s safety lights to pick up children for the school day. 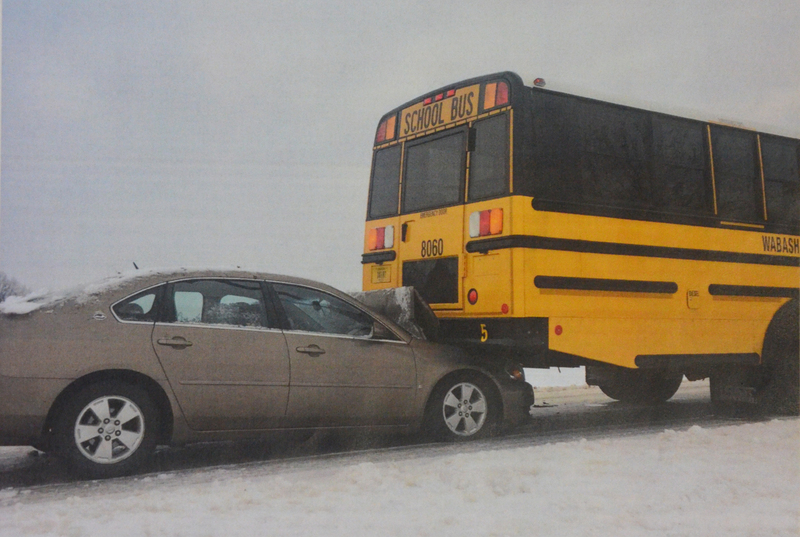 However, due to ice on the roadway, Gatchel lost control of the vehicle and slid into the back of the bus. A Wabash woman was sentenced Monday, Dec. 12, for felony charges relating to a March car crash that led to the deaths of two Grant County women. In October, Emilee J. Bowyer, 28, pleaded guilty to two counts felony operating a vehicle while intoxicated resulting in death and two counts felony operating a vehicle while intoxicated resulting in serious bodily injury. On Dec. 12, Bowyer was sentenced to seven years each in the Department of Corrections for the two counts of operating a vehicle while intoxicated while resulting in death, which are to be served consecutively. The Indiana Department of Education released the 2015-2016 accountability grades Tuesday, Dec. 13, and reported the majority of Wabash County schools received B’s. Of the 13 participating schools, nine received B scores, two received C grades and one received an F.
St. Bernard Elementary School was the sole facility to receive an A grade. Smokin’ for a Cause, a local group of food smoking enthusiasts, is seeking the community’s assistance to help the family of a Miami County Deputy. The group has donated $500 to the family of Deputy Chet Sites, whose home and possessions were destroyed in a Dec. 10 fire. Group founder Gary Henderson said he learned of Sites’ problems and immediately contacted other group members. 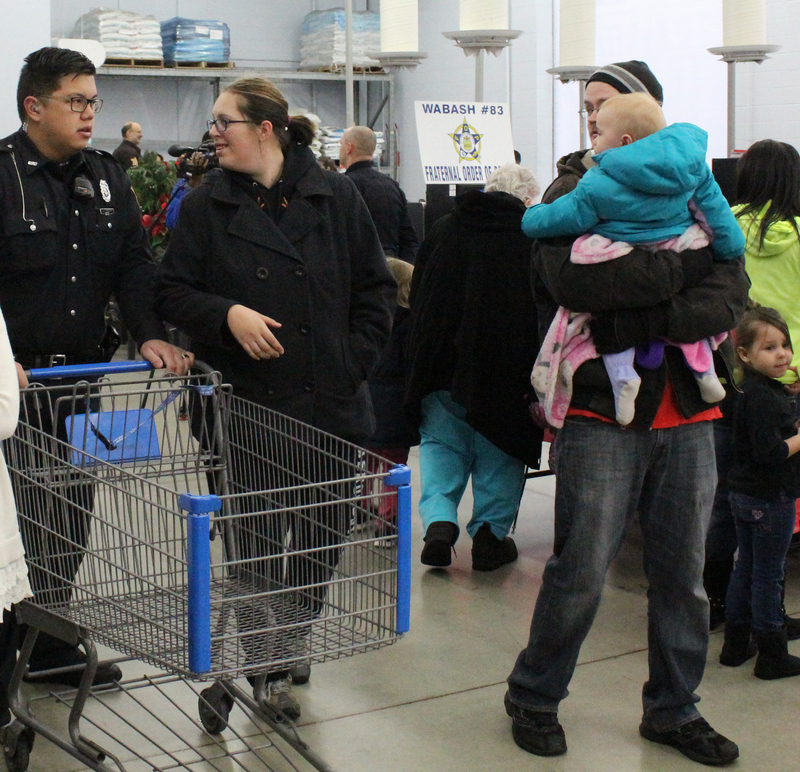 A record number of youngsters received an early Christmas on Saturday, Dec. 17, during the annual Shop With a Cop program. Wabash Police Sgt. Chad Galligan, vice president of the local Fraternal Order of Police lodge, reported that 253 local youngsters were able to participate in the program this year. That is largely due to the number of donations the FOP has received this year. A local youngster, Brenton Yarger, raised more than $9,000 for the event. And there are a number of other fundraisers for Shop With a Cop. Claude Markstahler, Wabash County Council District 1 representative, resigned Monday night, Dec. 5, following the council's final meeting of the year. Markstahler joined Chairman Mike Ridenour and Vice Chairman William Ruppel as they also exited the council, as their terms ended this year. Unlike Ridenour and Ruppel, Markstahler had two years remaining on his term. Christmas is not always the most wonderful time of the year. To help those feeling lost this season, the Wabash Presbyterian Church will be hosting a Blue Christmas service Wednesday evening, Dec. 14. The service will acknowledge the reality of life, “that life can be difficult,” according to Jonathan Cornell, WPC pastor. NORTH MANCHESTER -- Standing in what remains of her office, Patty Grant illuminates each corner of the room with a flashlight. “It looks like a tornado came through,” she said, gesturing toward one corner where pieces of ceiling tile and insulation lay in a waterlogged pile. 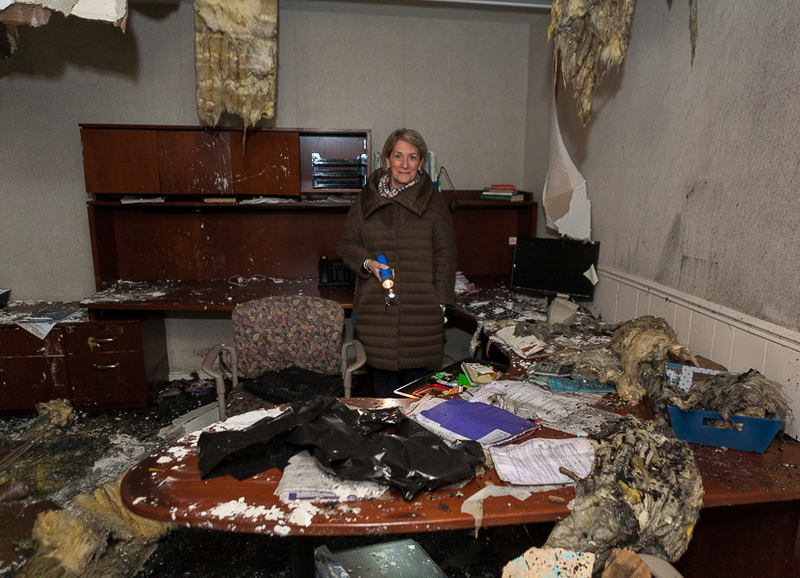 Grant is the executive director of the Community Foundation of Wabash County, one of three local businesses displaced by the Nov. 19 fire at 216 E. Main St.
“I had a really old map of the county on that wall,” Grant said as she lit a space above the desk.